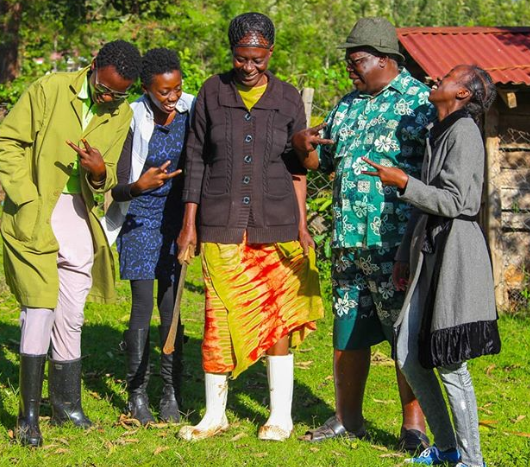 As much as singer Akothee hates hospitals, she knows sometimes it’s a must to go there. The singer shocked many after leaving hospital prematurely recently to attend some pressing business. The singer has now found herself again in an almost similar position after her parents started slacking on their medical check ups. She took to Instagram to share that she had to drag her parents to hospital for check ups after they kept complaining about their body paining. “Decided to lock my parents in hospital for proper check up, they keep on complaining of their body’s, ooh my back, my leg,my akia ango,” said the controversial. “You ask them to go for holidays my mum’s phone rings 24/7, ooh my home will remain alone, ooh my cows , now am afraid my dad must have carried his small radio to the ward I hope they don’t kick him out with his early morning news and ramogi at night get well soon mum & dad.